Tell your family, friends, co-workers, and frenemies how you feel about their Christmas spirit and overall attitude. 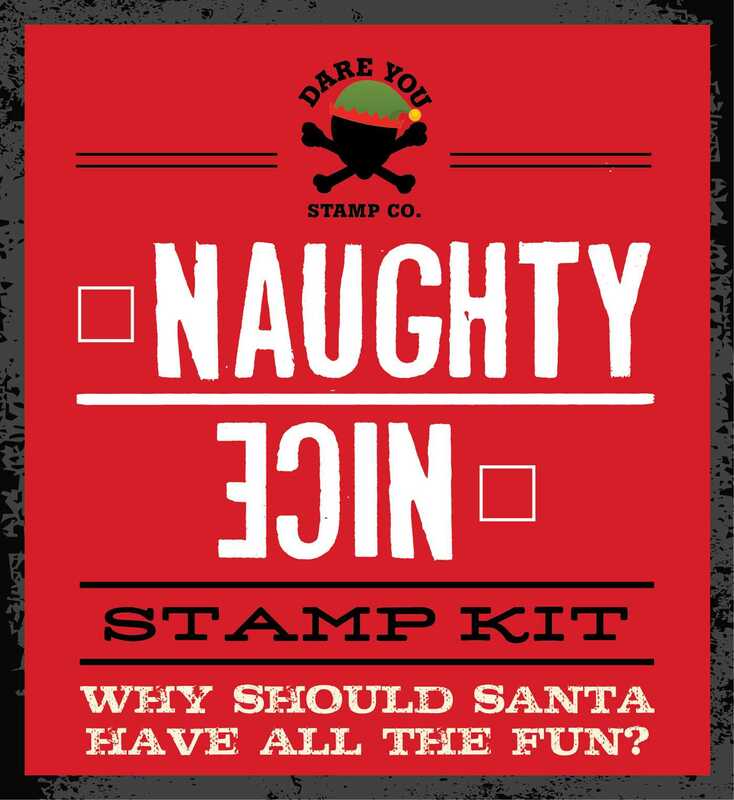 The Dare You Stamp Co. heralds the arrival of the Naughty or Nice stamp kit, furthering the unprecedented ability to deliver your holiday message of cheer and jeers loud and clear. Why should Santa have all the power? Tell your family, friends, co-workers, and frenemies how you feel abot their Christmas spirit. Or, better yet, use the stamp all year long because, let's face it, people always need to be reminded about whether they are being naughty or nice.